But I'm so glad I did. It is the Farmer's Wife quilt along. 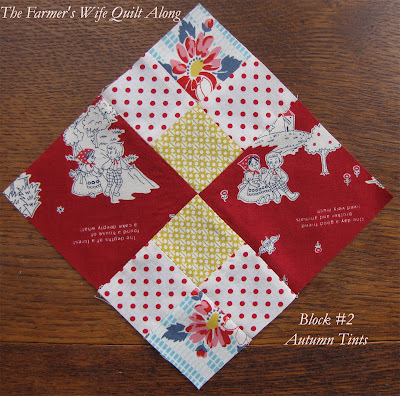 Angela over here started it based on the book "The Farmer's Wife Sampler Quilt" by Laurie Aaron Hird. 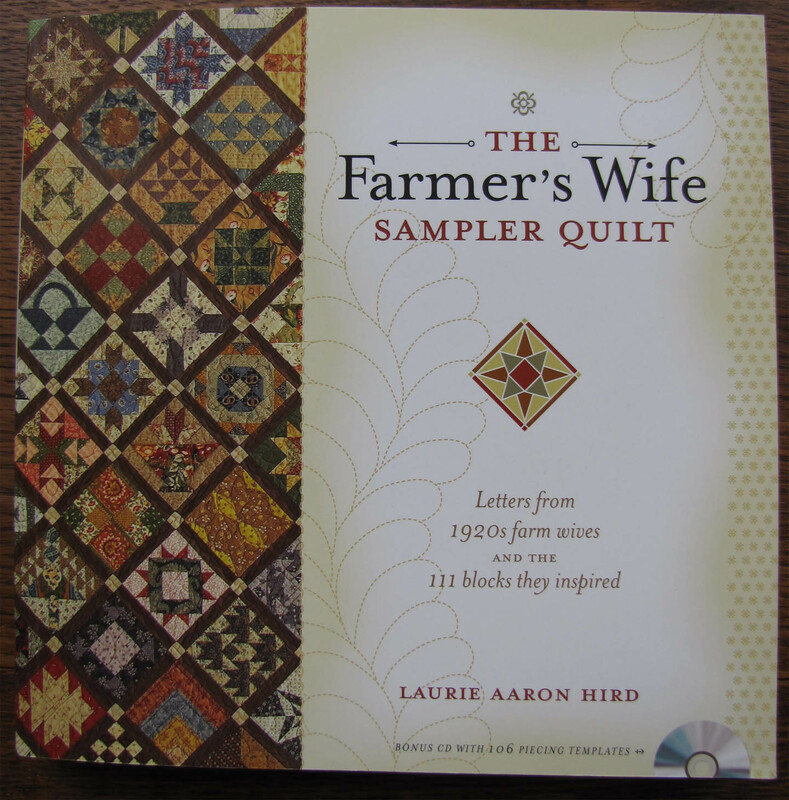 The book includes 111 quilt blocks inspired by letters written to The Farmer's Wife magazine which was a popular magazine in the 1920's. The magazine asked their readers the following question: "If you had a daughter of marriageable age, would you, in the light of your own experience, want her to marry a farmer?" Ninety four percent of the farm wives said they would want their daughter to marry a farmer!! ....How beautiful our home was! 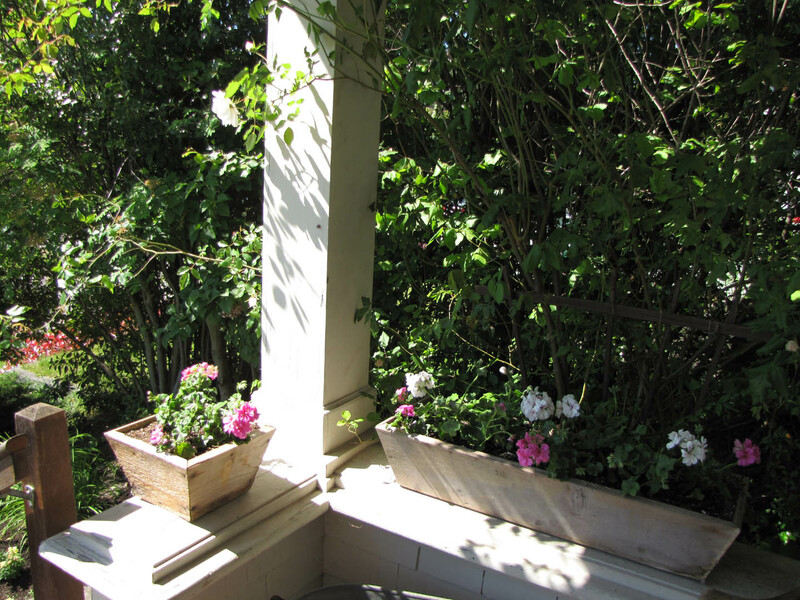 It was only of logs, covered in summer with a wild clematis vine. I told our doctor that after five o'clock on winter nights we became New York milllionaires for we had our easy chairs, a big fireplace and good books. We could not have had more in a mansion. 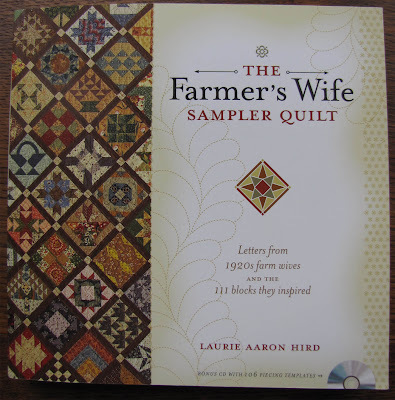 I am not a farmer's wife - far from it, but I love the letters in this book because they emphasize how simplifying ones life makes for a rich life. I'd like to think I've tried to do the same. I don't have chickens or cows and my vegetable garden consists of two tomato plants, but my husband and I have tried to simplify the best we can. 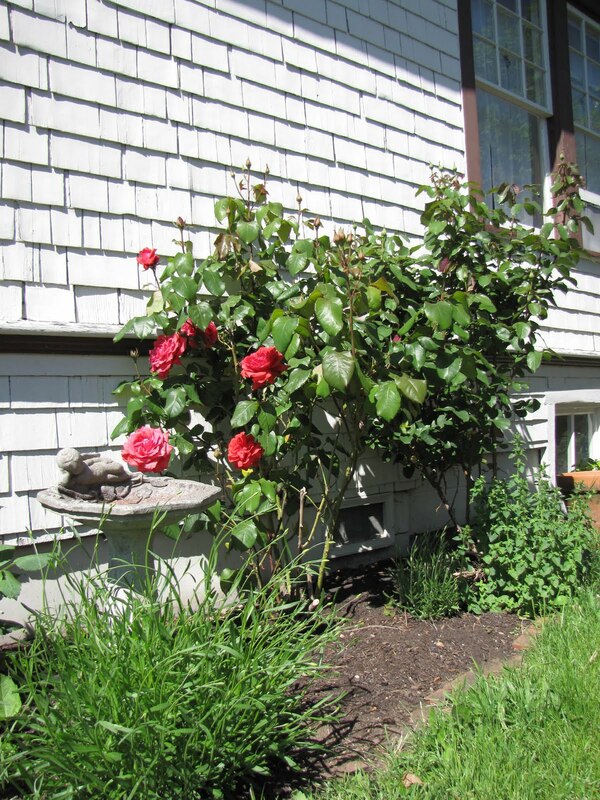 We live in a very small house, we don't have fancy cars or take elaborate vacations. We Do spend time with our kids every day and I try to cook a "real" meal a few times per week. I wouldn't trade it for anything! 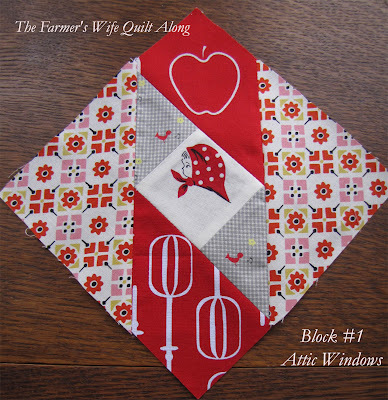 This is my first block, attic windows. I'm going to incorporate as many farm themed fabrics as possible. This has been so much fun to do. 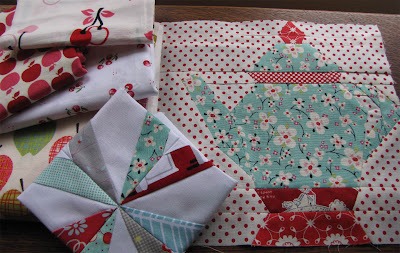 I love the process of picking out the fabrics for each block and incorporating the title of the block into each design. 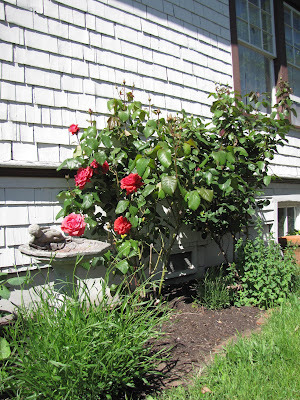 My color inspiration is aqua and red with grey, red and pink accents. Inspired by a few bee blocks I have recently made. You can find the Book here , the author Laurie Aaaron Hird's website here, and the Flickr group here. 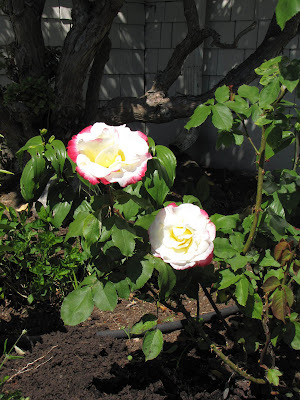 I had to throw in a few photos of my garden : ) My roses just started blooming! 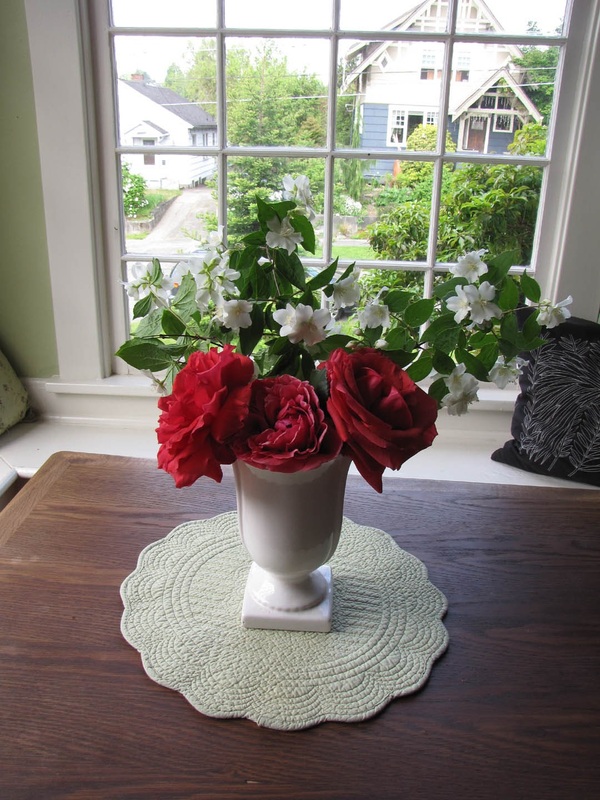 I love having flowers from my garden! Wonderful blocks. I started mine a few weeks back. It's fun and a good skill builder.